Located up north and right by the lake, Edgewater is a richly diverse neighborhood in many senses. It’s populated by families, students, and professionals from all over the world, and as many cuisines and culture spots as you can imagine. 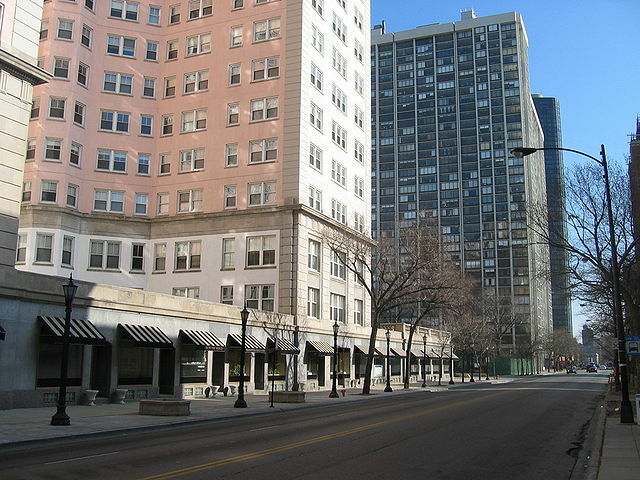 When you’re moving to Edgewater, you may find a home on a shady, quiet street, or an apartment in one of the art deco high rises that overlooks the lake. As your go-to Edgewater movers, we’ll be sure to get you settled safely, so you can start exploring–or hit up one of the neighborhood’s many beautiful beaches. Around 40,000 people live in Edgerwater, with slightly more men than women. There’s a mix of singles and families, many of them with children. Average annual income is around $56k and many people have college degrees or are in the process of earning them. As the city of Chicago grew in the second half of the 19th century, Edgewater developed from an area of orchards to a prestigious upper class neighborhood, one later known for being the first electrically lit Chicago suburb. The neighborhood maintained its status for the next few decades, and gained a reputation as a resort town. Edgewater was developed further in the mid-2oth century, and the 1980s saw efforts to maintain its unique heritage. Now you’ve got the gist, here are some highlights—and basics—we found to help you start your best Chinatown life. Broadway Armory Park: Community space and sports facilities. Berger Park: Outdoor amenities, art classes and programs. Osterman Beach: Includes comfort station. Edgewater Farmer’s Market: Saturdays in Summer. Raven Theatre: New plays and classics. St Ita Church: Architectural masterpiece. Broadway Antique Market: A huge range of items. Edgewater Chamber of Commerce: For community events and festivals. Pizza: Francesca’s Bryn Mawr Great for sit-down or delivery. Thai: Jin Thai. Creative dishes. BYOB. Korean: Bibim Town. New and health conscious. Vietnamese: Little Vietnam. Quality ingredients. BYOB. Mexican: Mas Alla del Sol. Chef-created, dinner only. Cajun: Pearl’s Southern Comfort. Cozy, high-end space with cocktails. Comfort: The Growling Rabbit. American classics, all-day breakfast. Brunch: m.henry. Be ready for a wait. Beer: Barrelman Tavern. Kid-friendly before 7pm. Wine: Income Tax. Food pairings. Chilling: Moody’s Pub. Burgers and beer garden. Game Watch: Burke’s Public House. Cozy space with TVs. Local: Simon’s Tavern. Cash only, signature mulled wine. Mariano’s: Fresh and prepared foods. Edgewater Produce: Full grocery with Mexican items. Starbucks: Reliable menu and Wifi. Chicago Grind: Wide selection of meals and sweets. pHlour Bakery & Cafe: Artisan bread and pastries. LA Fitness: Equipment and classes. Edgewater Athletic Club: Equipment, classes, and pool. Edgewater Fitness: Local gym with equipment and classes. Broadway Armory Park: Dog friendly areas. This has been a tiny sampling of the great things you’ll experience at your new Edgewater home. As a seasoned Edgewater moving company, we’ve learned all about the staples and cool places in the area. We’re happy to share more! As you’re planning your big move, cross one major thing off your to-do list, and book Edgewater movers who’ll a take load of stress off your mind. Call us at New City Moving, and we’ll help you move safely, smoothly, and on-schedule, so you can settle right in and start living your greatest Edgewater life.